Over the last few years, we have seen the number of panels about diversity skyrocket. It wasn’t long ago that an all-white BookCon lineup inspired the creation of We Need Diverse Books; now, a few years later, we constantly come across conference lineups with multiple diversity-focused panels (take the upcoming YALSA Symposium for young adult librarians, as just one example). Many regional and national conferences have adopted diversity as a conference theme, and we have been invited to speak at multiple Diversity Summits, Diversity Days, and more. This is a terrific thing. Panels are an important way to keep the focus on this topic and to educate the movers and shakers within all different industries about why diversity matters. The high number of panels focused on diversity is a good indicator that more people are thinking about these issues than ever before. October’s a busy time of year for conferences! At the New England Independent Bookseller’s Association conference, they had a panel on Selling Color in a White World. Our own Stacy Whitman of Tu Books participated—though, due to subway flooding, she joined the discussion via phone. Author Mitali Perkins and bookseller Elizabeth Bluemle shared their experiences from the panel. 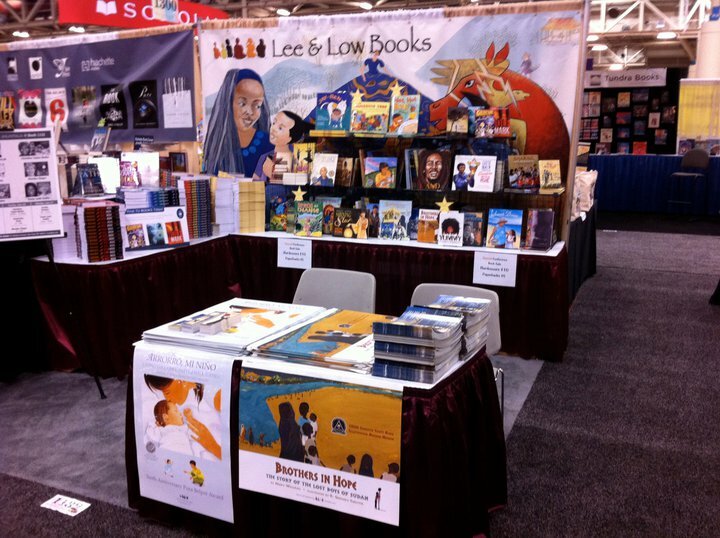 Well, barring any more volcanic interruptions, come this weekend we’ll be heading off to Chicago for the annual International Reading Association convention. If you’ll be there, we’d love to see you! It makes me super happy to meet people face to face in this age of twitter-email-voicemail-3G-4G-whatever.